Poet Roxy Runyan is in love with Tucson—its desert washes, its sunsets, its witchy women. She just released her first book of poems, Poems for Crones, from Ghost City Press, inspired by her search for unabashed, vulnerable truth and love. Renowned poet Alice Notley said "Read Roxy Runyan's lovely, vulnerable Poems. She has ears, and a heart." 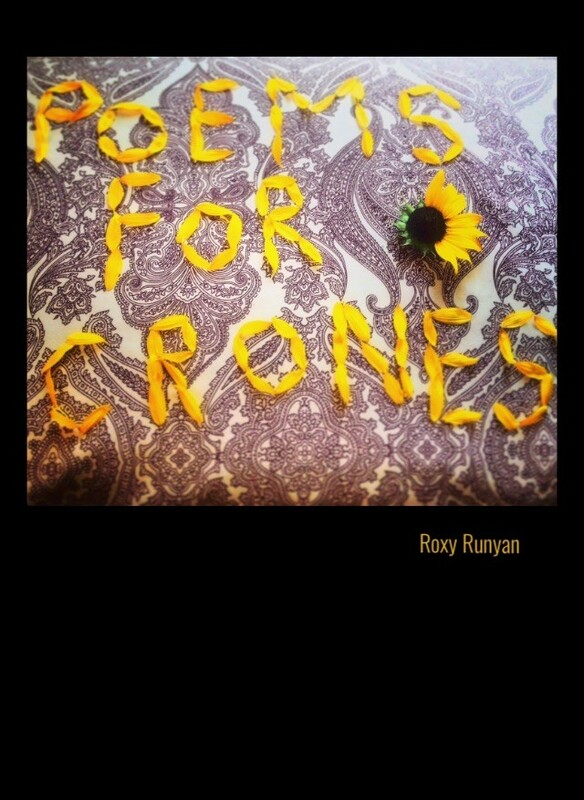 And now, you lucky people can take Notley's advice and download a free copy of Poems for Crones here. A print copy is forthcoming, but if you donate to her, shoot her an email with your address at roxyrunyan@gmail.com and she'll send you one of her printed and hand-sewn physical copies. The Tucson Weekly interviewed Runyan on what inspires her poetry and, in tandem, her love of life. Why did you move to Tucson 12 years ago and what has kept you here? I moved to Tucson when I was an over-achieving but low-funded 18-year-old from Phoenix disgruntled at having to go to U of A rather than some place further. 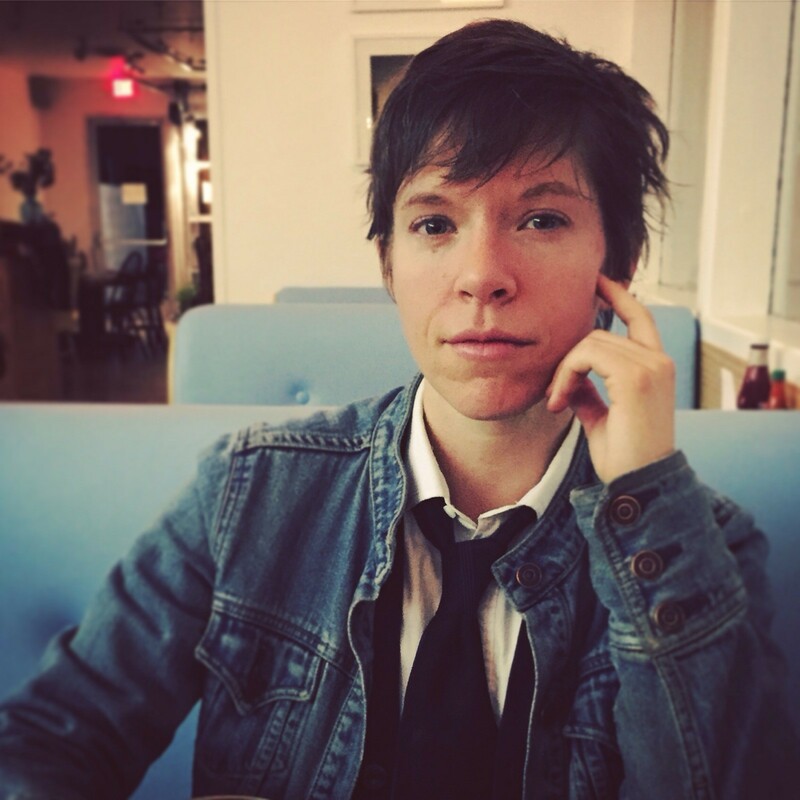 I had a family member who lived there who made it look appealing enough—when I came out to her as a lesbian years later, she revealed her own mostly-closeted life spent as a lesbian, and smiled as she shared that Tucson has, for a while been, "sort of a lesbian mecca." The queer community is what has kept me in Tucson—the peers here with whom I've grown relationships over the past decade have become my found family members, and it's been incredibly healing as someone who grew up always feeling out of place as a kid. How does Tucson inspire your poetry? ropes of the literary world through the loving and talented, community-centered lens of Tucson's literary scene. The cozy monsoon days, winter weeks, and even oppressive summer heat of Tucson have all inspired my poetry and writing. Tucson remains, for me and many others, a place to be honest in the present moment, which is the place from which the best poetry comes. landscape, and praying to the sunset as I sit atop a roof or on a porch. These moments of being a radically present witness to the beauty of our world—apparent in Tucson unlike anywhere else—have made me the poet and heart-centered person I'm proud to be. Poems for Crones has been described as "poems written for elder women—grandmothers, crushes, and lovers alike." At just 30-years-old yourself, why was it important for you to write about aging and elderly women? years old and feeling incredibly uneasy about the way certain men would look at my mother or sisters in the grocery store, or at the post office. The feeling would come over me anywhere really, just in response to the look in some men's eyes or the dishonesty I sensed in their voices. After I came out as a queer and made peace with the fact that all of us have "issues," be them daddy issues or mommy issues or sister issues or brother issues, I was able to release the shame of my love and attraction for older women, and pursued whatever intimate relationships with them might naturally grow. I've found mentors, friends, and lovers. Oh, I love them so. In exploring romantic and physically intimate and affectionate relationships with women, I continue to feel an energetic pressure valve release every time I share my particular devotion and interest in older women with both queer peers and any older women I get a chance to share it with. Our society devalues aging and elderly women in so many ways, when in fact they ought to be running the world. A council of queer grandmothers of color, for example, would serve this world with far more heart and wisdom than all the old white men who've been poisoning and harming the life on this planet for centuries with their ego-driven power and control issues. There is magic in an aging woman that ordinary language doesn't quite capture... so I wrote poems for them. I didn't set out to write poems that would become this book, Poems for Crones, but I knew I needed to compile some of my poems into a book—I have hundreds of poems. It's long been time, and this is just my first—and after a year of picking out some of my favorites, and looking for common themes, and batting around about half a dozen other potential titles, I realized, of course, many of my poems were for older women, including my grandmothers who both passed in the last couple of years. This combined with my passion for reclaiming powerful, diversity-driven language, which patriarchy raises us to believe is "bad" ("witch," "crone," "lesbian," "queer," etc.) made the title and meaning behind the book come clear. My grandmothers were certainly flawed humans, but I've always sustained a felt reverence for their lives and stories, their commitments to joy, in spite of their positions in a world that offered them so few choices, as women. Besides spending your 20s finding inspiration while wandering Tucson washes, how did you become a poet? What are other things you do to make a living or for fun? beauty and connection my consciousness finds in the most ordinary things. That makes me a poet. And that makes me committed to keep on living as best as I can. My other hobbies, passions, and interest really just revolve around the arts and examining and building of integrity, especially within intimate relationships. I believe the most powerful legacy we leave is our impact on others. Why do you call Tucson "the magical old grandmother" of all Sonoran cities. I'm not sure why, but usually Tucsonans nod in wide-eyed agreement when they hear me say it. Maybe it is the wonderful elder women I've met here, maybe it's the hills and the trees and the cicadas and dust here that vibrates with a particularly nourishing and enduring tone. Maybe it's all the elder lesbians here (god bless y'all). It's probably all of this and more. Alice Notley is important to name. Her book, Mysteries of Small Houses, turned me on to poetry in a big way when I was 18, and we've since met each other and are sort of pen pals, which is why I lucked out with such a huge name in poetry giving a recommending blurb to my little first book. What are a couple of your favorite poems in the book and/or excerpts? There have been a dozen or so times now that I've handed this book over to someone proudly, expecting them to leaf through it quickly, and instead they sit still for 20 minutes straight and read the whole thing front to back. This experience is what I am most proud of contributing to. Poetry being a medium these individuals admit rarely getting into, yet seeing them absorbed in it feels really special. I write from the heart because this world needs more heart, and I share my writing in order to connect more hearts, selfishly perhaps, to my own. But hey, isn't that all we've got? I'm proud I published poems with certain words and am even writing certain words in this interview which bring up a little fear for me. What will certain family members think when they see these things? But to let go of that, to not try to protect or shield anyone from parts of my honesty is a growth process I am proud of. for homes," which feels like an important reminder of priorities, especially at this time in history in these borderlands. honesty, integrity, and heart. I grieve for how misunderstood and abused the notion of love is, and seek through my writing to help lift up our consciousness around how we care for—how we love—each other and ourselves and all life.